“Mike Czuba’s Satellites is a beautiful meditation on being human in a growingly complex world. 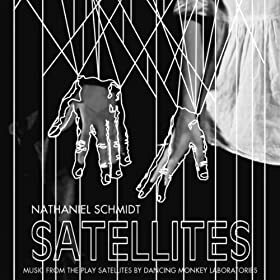 Brought to life by a sublime convergence of words, music and movement, Satellites will move audiences and remind you to reach out and hold the hand of the loved one sitting beside you”. Kelly Reay – Artistic Director of Sage Theatre. Full production can be seen here. Music sample “Prologue” can be found here. Satellites 2013 reunites the original cast with some new members behind the scenes.